If you've had your eye on that chic summer collection by Alexander McQueen or tailor-made leather shoes from Berluti, now is the time to shop to your heart's desire. Visitors who shop for AED 650 at any store in Mall of the Emirates until August 4 can enter the daily draw to win AED 15,000. 43 lucky winners will be announced throughout the summer. Leave the stress of carrying your shopping bags around during your visit to Mall of the Emirates! Visitors who shop for AED 1,000 will receive a complimentary Hands-Free delivery right to their car or home, which can be redeemed at the VIP concierge desk. Ryder and the famous Pups: Chase, Rubble, Skye, Marshall, Zuma, and Rocky are in town and they are ready to meet and take pictures with their young fans at Mall of the Emirates, from July 15 until July 22. A 17-minute live show inspired by the popular animation series about the adventures of a boy and his rescue dogs has been organised for the mall's young visitors daily, at 3pm, 6.30pm and 9.20pm. Get your game face on for Majid Al Futtaim's exclusive EA Sports FIFA Championship at Mall of the Emirates and City Centre Mirdif this football season. Don't just watch the matches, be a part of them. Get those gaming thumbs ready for the online championship this DSS in the all-new, dynamic gaming zones set up at the malls from now until July 14. This year, the malls have upped the challenge by designing the zone in a way that 26 gamers can play simultaneously, with other participants at the mall. Make new gaming friends as you compete to score and win AED 1,000 worth mall GiftCards throughout the season and the grand prize of AED50,000 on July 14. Finalists will also get the chance to play against gaming influencers to win a bonus prize if they beat them. What better way to beat the heat than on the snowy slopes of Ski Dubai, the region's first indoor ski resort. For the young and the young at heart, there's something for everyone to make the summer holidays delightful. Ski, snowboard, zip line, make snow angles, rally the kids for a friendly snowball fight or play with the penguins all under one roof this summer only at Ski Dubai. Tribes and Common Grounds, Mall of the Emirates is a melting pot of world cuisines with something to satisfy every taste. 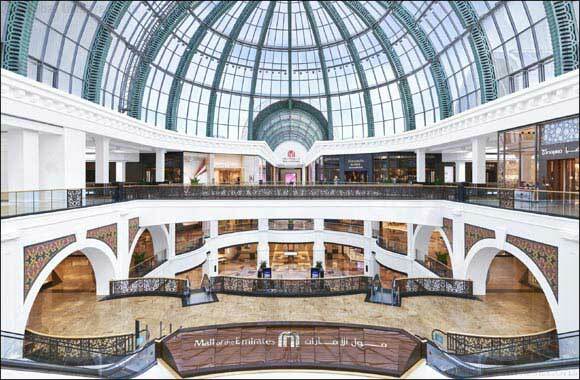 Visitors can expect a summer full of surprises at Mall of the Emirates with a jam-packed Dubai Summer Surprise programme. Residents and tourists can take advantage of the incredible discounts, promotions and winning opportunities, in addition to world-class shopping, dining, and entertainment experiences throughout the season.